If you are looking to find the Best DIY Home Security System, you need to look no further. Our Top 3 Best DIY Alarm Companies provide you with compelling and unique advantages that will fit nearly any prospective buyer’s criteria for a professionally monitored DIY Alarm System. Whether you are looking to keep up front and monthly costs down, the industry’s best customer service or the widest selection of the most state of the art security and home automation equipment, each of our top DIY security providers has distinguished themselves within the industry. The hub of most DIY alarm systems is the central control panel. It manages all the sensors and sends a signal to the monitoring station when an alarm occurs. Panels equipped with touchscreens provide next generation features and intuitive functionality. Magnetic sensors equipped with transmitters are typically placed at the doors and most vulnerable windows. If the entrance is breached, a siren is activated and the control panel alerts the monitoring center. Interior sensors such as motion detectors and glass break sensors provide a second level of protection – in the event that an intruder gains entry at an unprotected window. Cover larger areas with minimal expense. Most DIY alarms offer option video cameras that can record events, remotely monitor what goes on when you are away and even notify you when there is activity. Advanced wireless security systems can include environmental sensors that can provide protection from Fire, CO, Flooding and Frozen Pipes. Sensors can be set up to notify one if pool gates, medicine cabinets, gun cabinets or office drawers are opened….without setting off an alarm to the monitoring center. Mobile apps enable one to control the system from a smart phone, tablet or computer when one is away from the home. One can set up notifications to be sent when there is activity. Modern wireless home security systems can be equipped with home automation technology that can enable one to turn on lights, unlock doors and manage heat and energy systems. Most of the best DIY alarm systems offer professional cellular monitoring services. Because there are no phone lines that can be cut, it is the most secure means of communication. Best Overall Value - Our #1 Pick! Even though there is surely a case to make for all our leading DIY security providers…Protect America stood out as the best overall value for a Do it Yourself Home Security System. They rose above the other contenders by solving the the most common hurdle for the typical property owner (or perhaps apartment renter) – – the up-front expense. $0 Up Front Fees – Protect America ensure it is economical for almost anybody to obtain a well-rounded security and home automation system, by virtually eliminating the economic shock associated with a substantial initial investment. They provide pretty much everything from a simple security bundle to the Platinum Package with as much as a $1400 value of hardware without any up-front expenses! Inexpensive Basic Monitoring Rates– If you’re on a tight budget, or do not require many of the bells and whistles, Protect America features monitoring prices for as little as $19.99 /mo. The company’s Copper Plan provides their most affordable monitoring charge, using land line services. In addition, it incorporates a standard security system-with zero up-front hardware expenses. Lifetime Equipment Warranty – All the devices are warrantied for as long as you continue to be a Protect America patron. Rate Lock – In contrast to many organisations that incorporate escalation clauses which allow them to be able to increase your rates following the 1st year, Protect America pledges that your rate will always be exactly the same. 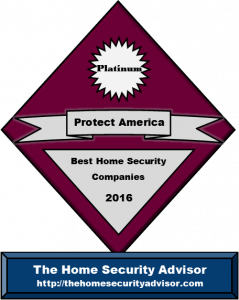 Best Price Guarantee – Protect America makes certain that you receive the ideal home security system for the very best selling price. Locate a lower price on the very same system and they’re going to meet or beat it! Protect America created the Do-It-Yourself Home Alarm System industry. They provide FREE equipment packages, without up-front hardware expenses, a number of monitoring alternatives, Best Price Guarantee, Lifetime Warranty as well as first-rate customer support. Protect America is without a doubt the first choice in all around value! 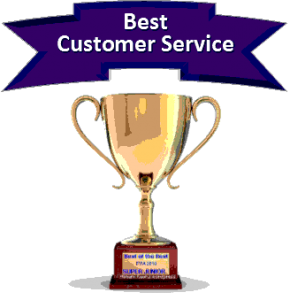 Outstanding Customer Service with Comprehensive Equipment Options. Outstanding Consumer Experience– Although there are lots of providers that manage an A or A+ BBB rating…there seem to be only a only a few which come near to outperforming user requirements such as Frontpoint. Internet testimonials as well as comments on review websites tend to be extremely favorable not to mention 94% of their buyers would definitely recommend them. Compared with the majority of their competitors, the marketing approach is normally low key without any pressure. Want Frontpoint…but, don’t wish to be committed to three years? In contrast to all of the other leading security providers, Frontpoint offers both a one and three year alternative. 100% Wireless- Frontpoint provides only the most dependable products including reputable GE Simon XT wireless equipment (as well as available Qolsys upgrade) set up standard using 100% cellular monitoring. This approach prevents the potential for cutting the telephone as well as cable lines in order to disable transmission to the monitoring center. Superior Engineering and Monitoring Capabilities – In addition to their extensive menu of available security, surveillance and home automation products, Frontpoint delivers technologically advanced solutions as part of the Interactive monitoring services. Powered by Alarm.com, Frontpoint solutions incorporate “Crash and Smash” protection as well as Geo-Location Solutions. The first one makes sure that monitoring company will be notified even though the system is destroyed…and the second makes it possible for innovative system automation capability dependent on GPS cellular locations. Transparency along with Integrity– In contrast to a lot of security web sites, Frontpoint sets their cards on the table. Costs are clear-and there aren’t any tricks or hidden charges. These folks are so very certain that they feature the most effective home alarm system out there that they’ll back it by their No Hassle Thirty Day Money-back Guarantee- without any shipping charges (either way) without any restocking charge! Frontpoint delivers exceptional customer support as well as one of the finest Do-it-yourself security alarm solutions in the marketplace. They back your equipment using a 30 Day Full Money Back Guarantee and offer a complete equipment selection that features surveillance cameras as well as energy management. Check out our comprehensive investigation in our Frontpoint Security Review or give them a call for a free, no obligation quote. 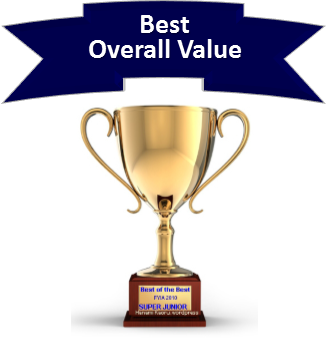 Outstanding value-Comprehensive equipment selection with extremely competitive interactive and home automation monitoring. Exceptional Track Record – Although these folks might not be a household brand (yet), Link Interactive is undoubtedly carving out a position in most Top Five Best Home Security Company lists. Link Home Security is th DIY alarm division of Mountain Alarm. They are a regional security provider which has an A+ BBB ranking as well as Sixty years’ experience with the sales and installation of home security systems. They enjoy a 98% client approval score. Diverse Equipment and Monitoring Capabilities – Link Interactive Alarm systems showcase the most up-to-date 2 Gig Technologies wireless hardware, combined with feature rich monitoring solutions. Link Interactive monitoring incorporates all of Alarm.com’s innovative capabilities which includes: Crash and Smash Protection, Geo Location Services…as well as 2-way voice supervision. Straightforward, Competitively-priced Monitoring Fees – Along with extremely aggressive monitoring terms, Link Home Security keeps it very simple in terms of their packages. Their “basic” Gold Plan includes cellular monitoring, all Alarm.com interactive services and full home automation for one low price-$30.99 a month. Want video? No Problem…just $5/mo. More. Link Home Security delivers fantastic customer support as well as one of the most comprehensive security and home automation programs in the business. They’re among the finest DIY security system providers mainly because they provide a wide-ranging hardware selection and incredibly competitive monitoring packages. They feature the top rated Alarm.com interactive solutions along with Crash and Smash protection and 2-way voice authentication. For an in depth analysis, read our Link Home Security Reviews or get a FREE Quote and get details about the reasons why Link Home Security is considered one of the best home security companies of 2017.